If you're worried that drinking alcohol is hastening your memory loss, fear not. 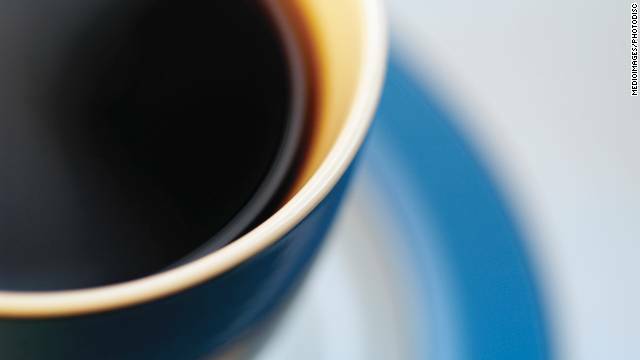 A new study suggests any caffeine you inhale the morning after will have the opposite effect. Researchers at Johns Hopkins University gave study participants 100 to 300 milligrams of caffeine after they looked at some images. Twenty-four hours later, those who got 200 or 300 milligrams of caffeine remembered the images better than participants who took a placebo. The researchers concluded that caffeine can help strengthen our long-term memories. Guess the monkeys will have to give up those bananas after all. An international team of scientists has discovered that primates burn about half the calories other mammals burn on a daily basis. While the study was done on primates, researchers believe the findings translate to humans as well. "The results were a real surprise," said lead study author Herman Pontzer, an anthropologist at Hunter College in New York. "To put that in perspective, a human – even someone with a very physically active lifestyle – would need to run a marathon each day just to approach the average daily energy expenditure of (another) mammal their size." The researchers believe this slow metabolic rate may be the reason primates, including humans, live much longer than, say, dogs or hamsters. When the body expends energy, it ages. So slow growth may be linked to a long life. You've heard before that sitting all day is killing you. This study provides more evidence to back up that claim. Researchers examined data from more than 92,000 postmenopausal American women. Those who reported more than 11 hours of sedentary time each day died earlier than peers who only reported four hours of inactivity. The sedentary group increased their risk of death due to cardiovascular disease, coronary heart disease and cancer by 13%, 27% and 21%, respectively, according to the study authors. Having a kid is expensive, but HOW expensive really depends on which hospital you choose, this study suggests. Researchers analyzed the cost of more than 109,000 uncomplicated, vaginal and Caesarean section deliveries that took place in California hospitals in 2011. They found the cost for a vaginal birth can range anywhere from $3,296 to $37,227 and C-sections could cost you anywhere from $8,312 to $70,908. The differences in price were "not well explained by observable patient or hospital characteristics," the study authors wrote. Did your mom or dad accidentally call you by your sibling's name a lot as a kid? Did you feel like they loved your brother or sister more? Psychologists at the University of Texas at Austin have learned it's not a Freudian slip that makes parents mistakenly call the wrong child's name. Couples with children whose names sound alike, either at the beginning or the end - think Amanda and Samantha - are more likely to make the switch. It's all part of the brain's information-retrieval process, says lead study author Zenzi Griffin, and is more likely to happen if the siblings are closer in age or look alike. Just be glad you weren't one of the 20 respondents who said they were called by the name of the family pet. lol that can't be right, I drink coffee like water and I can't remember anything! So "When the body expends energy, it ages", and "women need to find ways to remain active". It then follows that if you remain active you will hasten aging. Interesting they have a study for just about study anything these days. need more studies about hospital discrimination leading to health care denial. like the one on giving birth and the widely varied costs. Why don't you fund one, then, mags?